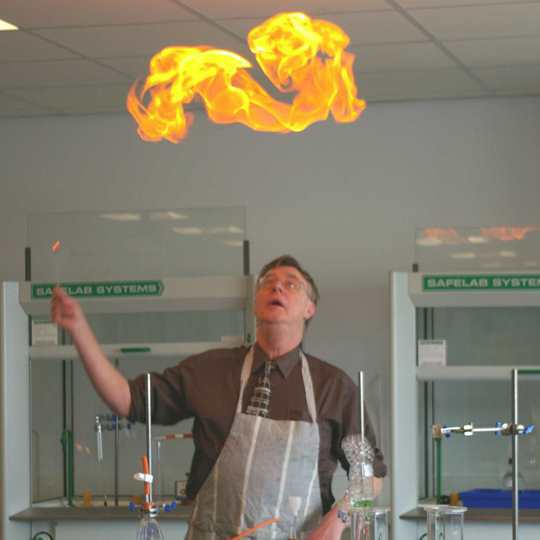 CLEAPSS resources give teachers ideas for exciting and engaging practical activities that fire pupils' imaginations and then, unlike many other sources of ideas, go on to show teachers and technicians in detail how to translate the ideas into safe and exciting experiences in the classroom. These awards are run by the Salters' Institute in collaboration with CLEAPSS & SSERC. They aim to highlight the important role played by school & college science technicians in supporting high quality and effective practical work in their institutions. Click here for further information on the awards and how to apply. Closing date for applications: Friday 3rd May 2019. CLEAPSS have been made aware of spam purportedly coming from CLEAPSS accounts with links and / or attachments to invoices. All CLEAPSS emails are all digitally signed and any spoofed / spam emails should be rejected as fake by your mail server if it has been configured correctly, however many aren't!! In light of this, please make sure you check that the email is from a genuine before following any links or opening attachments. you weren't expecting the email / invoice. the from email address does not match the from name. check by hovering over a link, CLEAPSS only uses WorldPay for online payments. the English or grammar is poor, or amounts requested are in dollars. If in any doubt about the authenticity of any CLEAPSS email then please contact us BEFORE opening any attachments or following any links. Once again CLEAPSS had a large presence at the 2019 ASE Conference in Birmingham. Find all the resources from our workshops and talks here. We have issued a new edition of L093. See Guide GL114 for a list of the changes and what you need to do. The main reason for the new edition was the change in the Ionising Radiations Regulations which we explained in our termly bulletins and web site earlier this year. However, we have also been reviewing ageing sources that schools have acquired in the past. There is convincing evidence that using Becquerel plates and radium-painted timepieces of this age can no longer be justified. The condition has degraded to such an extent that they can no longer be regarded as safe to use. These need to be disposed of L93 gives details of disposal. What does good technical support look like in a science department? How can technicians transform a school’s science department? Watch this Gatsby Foundation film to understand the vital role technicians play in their school and the delivery of good practical science. Precautions needed in practical work involving bromine, liquid and gas, and bromine water.